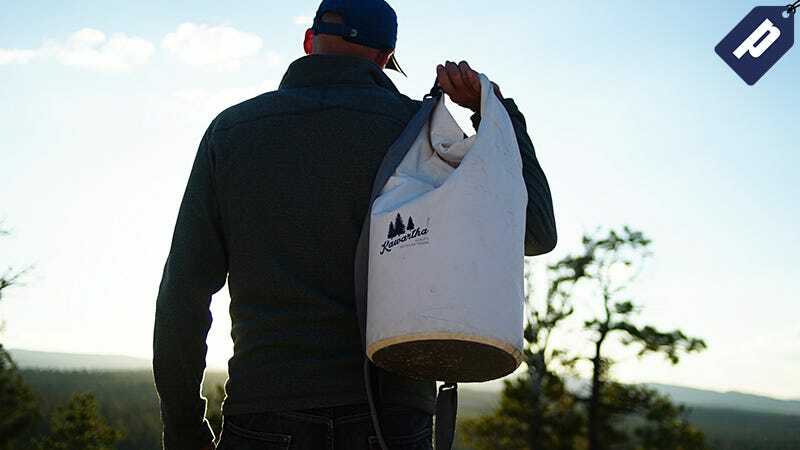 The Dry Bag Cooler hauls up to 25 liters (18 cans + ice) and features Triple Insulation Tech that’s waterproof and prevents heat transfers to keep drinks cold. Plus, it’s compact design, with a roll top closure and shoulder strap, makes it easy to carry to the tailgate or camp site. Use code 50GCDBC to get one free dry bag cooler with the purchase of a gift card worth at least $50. Note: you must add both the dry bag cooler and the gift card to your cart in order to activate the code.